Bestech Knives Tercel Frame Lock Knife Grey Titanium Stonewash(BT1708B) Knives, throwing knives, fantasy knives, movie knives, tactical knives, hunting knives, etc. Bestech Knives Tercel is a folding knife with ergonomic design for everyday wear. Handle and clip made of 6AL4V titanium, milled grooves provide a secure grip. Frame lock. 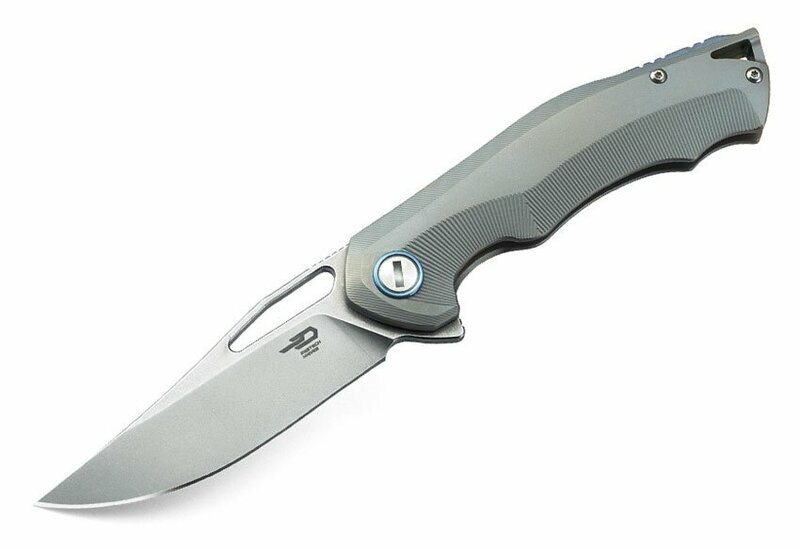 The blade is made of CPM-S35VN premium stainless steel with an extended thumb hole. Narrow pocket clip made of titanium allows you to attach a knife on a belt or pocket and a wide lanyard hole.